What you want to grow indoors are high value and short shelf-life crops that you can stack or vertically rack to grow. For instance, in pods and warehouses, you grow plants by stacking multiple beds vertically or horizontally. Tell us about The Electric Power Research Institute (EPRI). The Electric Power Research Institute (EPRI), is an independent, nonprofit organization which conducts objective research and development related to the generation, delivery and use of electricity for the benefit of the public – both in the U.S. and internationally. At EPRI, scientific research and data drive everything we do. We’re now zeroing in on specific programs to analyze the benefits and impacts of electrification technology and strategies across industries – including indoor agriculture. Give us some background on how indoor agriculture works? Indoor agriculture works by optimizing plant growth and production using electric lighting, HVAC, pumping, thermal and sensing controls. A few years ago, my lighting colleagues at EPRI and I began researching agricultural lighting to better understand it’s unique spectral nature, possibilities for utility load impact, and its potential efficient electrification. We started looking at three primary forms of indoor agriculture: the converted warehouse, vertical farm/custom building, converted shipping containers or pods, and augmented greenhouses where heat and lighting are added to keep the greenhouse operating year-round. We found a lot of unanswered questions about this growing industry. What are the benefits of using electricity for indoor agriculture? Indoor agriculture has many benefits. One of which is reducing the amount of water used to grow crops by up to 90 percent. This means that in many areas indoor agriculture could provide crop production opportunities where water is restricted or in water-sensitive areas. Additionally, because indoor agriculture uses controlled environments, there is a reduced risk for water contamination that could lead to the spread of harmful bacteria such as E. coli. Utilizing local indoor agriculture facilities also reduces the distance that fresh food must travel, ultimately allowing for higher quality produce. On a societal level, indoor agriculture improves urban infrastructure utilization by optimizing building use and reuse; it stimulates the local economy via job creation, develops a trained workforce in agriculture, horticulture, growing systems, manufacturing and control systems. As noted before, these facilities reduce water consumption. Indoor agriculture also potentially reduces the environmental impact of farming by reducing or eliminating soil additives, pesticides, herbicides, transportation pollution, refrigeration needs and the use of preservatives. Is indoor agriculture best for smaller crops and/or more specialized foods? The simple answer is, yes. If you wanted to grow row crops with a long shelf-life indoors you certainly could. However, long shelf-life, low-value per-pound, and/or tall crops don’t lend themselves to indoor production. What you want to grow indoors are high value and short shelf-life crops that you can stack or vertically rack to grow. For instance, in pods and warehouses, you grow plants by stacking multiple beds vertically or horizontally. Leafy greens are better than corn. What are some new and innovative indoor agriculture techniques that you’re currently seeing in the industry? As indoor agriculture proliferates across the nation and world it’s becoming an increasingly regarded as a viable option for food production – and an innovative one at that. Currently, indoor agriculture is being conducted using three different innovative techniques including vertical farming, greenhouses and converted shipping containers. Each of these forms of indoor farms utilize different technologies, solutions and systems to yield crops. Within each form of indoor farm there is also variance in how each farm is operated. So, there are a range of innovations occurring in a number of technologies, controls, sensors, and systems within the indoor agriculture space. Tell us about Shipping Container Farming and how it is helping grow the indoor farming industry. 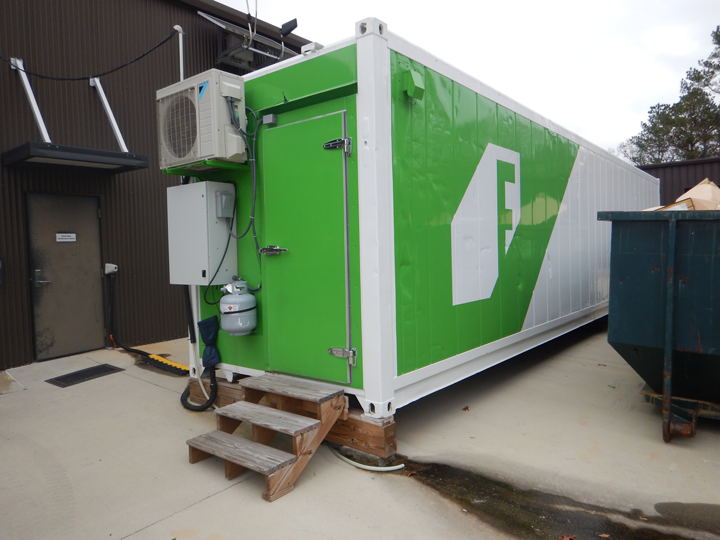 Container farm manufacturers and do-it yourself farmers retrofit shipping containers to yield plants. At EPRI, we are doing more research related to the production of plants indoors using shipping containers. These “container farms” yield plants by maintaining a controlled, albeit small environment. The containers are typically standard eight-foot x 40-foot x 9.5-foot (2.4-meter x 12-meter x 2.9-meter) 320 square feet intermodal containers with integrated lighting, watering, pumping, and thermal systems. The container farms include a central walkway for access to the plants for harvesting, with horizonal or vertical racks on either side of the walkway. LED lighting is used to stimulate growth. The annual product yield from a container farm varies based on the manufacturer, crop type, and farm design. For example, one container farm manufacturer claims their container farm typically produces 400-500 full heads, or 800 to 1000 mini heads, of lettuce per week. This level of production in a small space is made possible by producing crops on multiple vertical or horizontal racks. When growing leafy greens, most container farm manufacturers claim approximately one acre of annual outdoor yield per container. One acre is equivalent to 43,560 square feet, but a container is only 320 square feet. Thus, the overall land use is greatly reduced. Look down the road a bit, what is the potential for indoor farming? By what year do you expect indoor farming to be a significant contributor to food supplies? There is profound potential for indoor farming because of its versatility of application and the overall benefits. By 2040 a large number of cities will likely see numerous buildings being converted for indoor farming purposes. Say a business closes or moves out of an urban space. This space is converted to an indoor farming operation – it could then operate for a profit, or a community service where a local group runs the farm to feed community members. Where can people learn more about the potential of indoor agriculture and electrification? This August, EPRI is hosting its inaugural Electrification 2018 International Conference & Exposition in Long Beach, Calif. The event will bring together industry stakeholders to discuss the technology, policy, regulatory, environmental and implementation issues related to efficient electrification – across sectors, including indoor agriculture. Those interested in attending are encouraged to visit the website to register, and gather more information and event details. 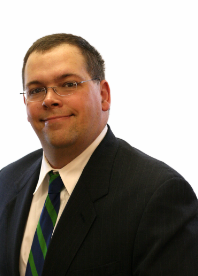 Frank Sharp is a Senior Technical Leader at EPRI’s Knoxville facility and brings over 25 years of real world experience resolving specific and unique technical issues to his work. EPRI is a 501C collaborative research organization which focuses on issues related to the generation, distribution, and use of safe and affordable energy. As a part of EPRI’s work, Frank, and EPRI’s indoor agriculture, lighting, data center, and appliance research teams, conducts research on the real-world operation and performance of a wide range of indoor agriculture, electric lighting, daylighting, lighting control, data center, and end use appliance technologies.